Our stocks are made the traditional way – we don’t add salt, flavour enhancers, gluten, preservatives or additives. It’s real food made from real ingredients. Our aim is simple: we want to add a depth of flavour to your culinary creations while helping support free range animal farming and sustainable fishing in Australia. 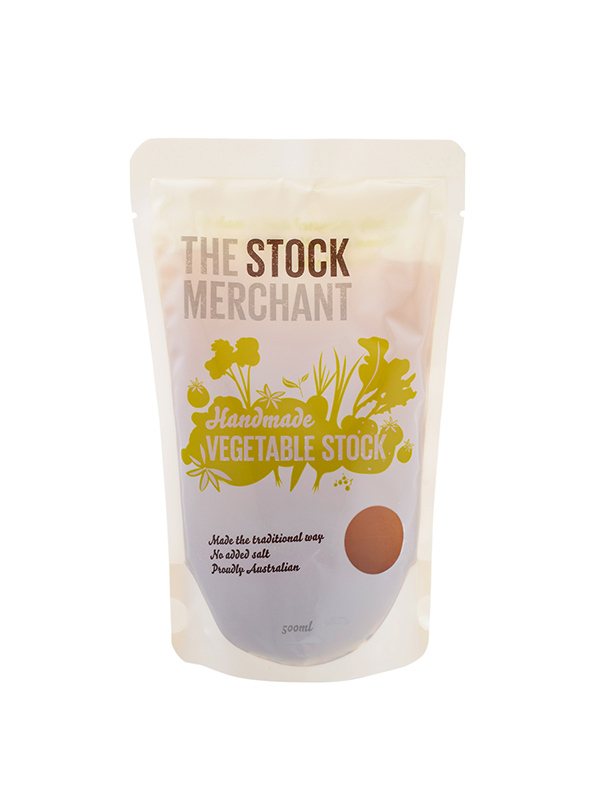 This fully flavoured vegetable stock is made the traditional way with at least 50% organic vegetables and herbs. We choose market-fresh, unblemished vegetables, slowly simmer them for at least 8 hours, and then reduce the liquid. The result is a stock with a remarkable intensity and depth of flavour. Use generously in risottos, stews, soups and more. No preservatives, no additives. It’s real food. Ingredients: Water, onions, carrots, celery, tomato, leeks, parsley, black peppercorns, rosmarinic acid (natural antioxidant), bay leaves. Made with at least 50% organic vegetables. Provenance of vegetables: At least 50% of vegetables used are certified organic, all vegetables are sourced from Victorian markets. Click here for recipe ideas! 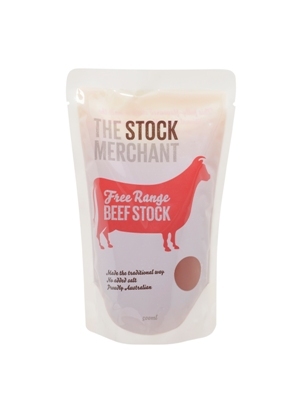 This fully-flavoured stock is made the traditional way with genuine Australian grass fed, free range cattle. We roast the bones in small batches, slowly simmer them with our specially selected vegetables and herbs for at least 12 hours, and then reduce the liquid. Ingredients: Water, free range beef and bones, roasted carrots, tomato paste, roasted onions, celery, rosmarinic acid (natural antioxidant), bay leaves. Provenance of beef bones: Exclusively grass-fed, free range cattle from the pastures of Victoria and New South Wales, with no supplementary food or chemicals used. 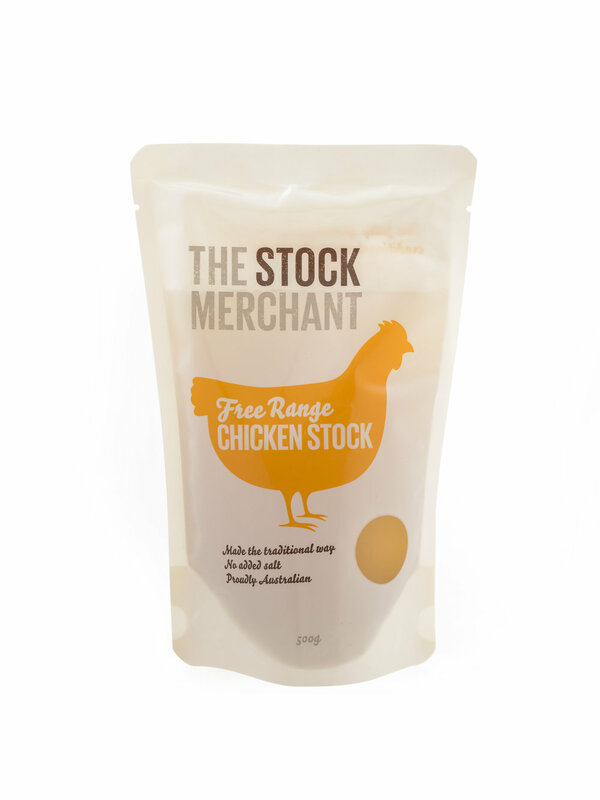 This fully-flavoured stock is made the traditional way with genuine free range Australian chickens. We slowly simmer the bones with our specially selected vegetables and herbs for at least 10 hours, and then reduce the liquid. The result is a stock with a remarkable purity and depth of flavour. Use generously in risottos, stews, soups and more. Ingredients: Water, free range whole chicken and bones, onions, carrots, celery, rosmarinic acid (natural antioxidant), bay leaves. Provenance of chicken bones: Certified free range chickens from Victorian farms. This unique and exquisite stock is made from Blue Swimmer Crabs, fished from Shark Bay, Western Australia. The crabs are sustainably harvested in this World Heritage area, ensuring numbers are not depleted. We place the crabs in an ice slurry, where they fall asleep, and then simmer the crabs in water. This liquid is then filtered and reduced. The result is a stock with a remarkable purity and depth of flavour. Use generously wherever fish stock is called for. This crab stock elevates the flavour of paella, bisques, seafood hotpots, soups and more. Perfect for poaching, marinating and braising meats, this Chinese Master Stock is made using a traditional recipe. We simmer our Free Range Chicken Stock with soy sauce, Shaoxing wine, a touch of sugar and eight different spices. The result is an authentic and ready to use Master Stock, perfect for poultry, beef, pork or tofu. Use in any recipe that requires Master Stock including braised chicken, twice cooked pork belly or beef short ribs.